House of Forgings is excited to introduce our new MEGA Collection. 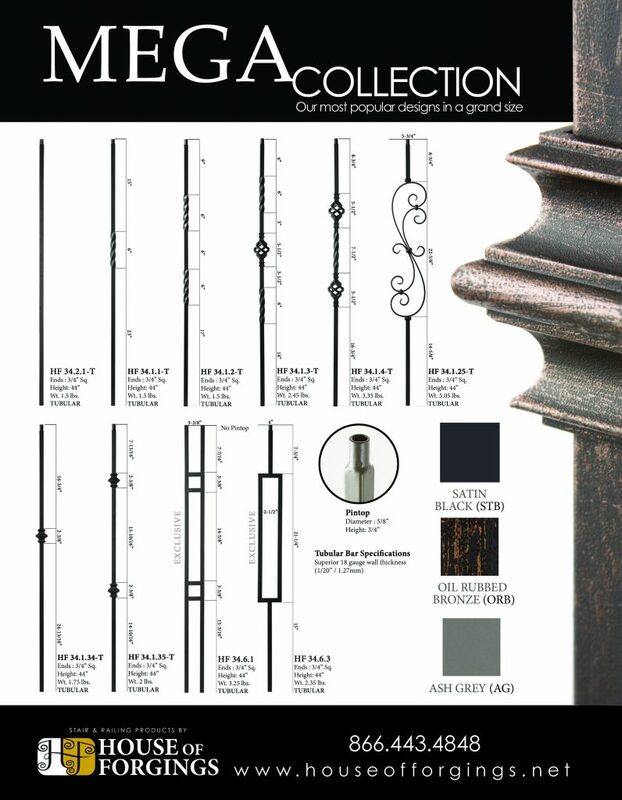 This collection features some our most popular designs in a grand size, taking our 1/2 inch balusters and making them 3/4 inch. 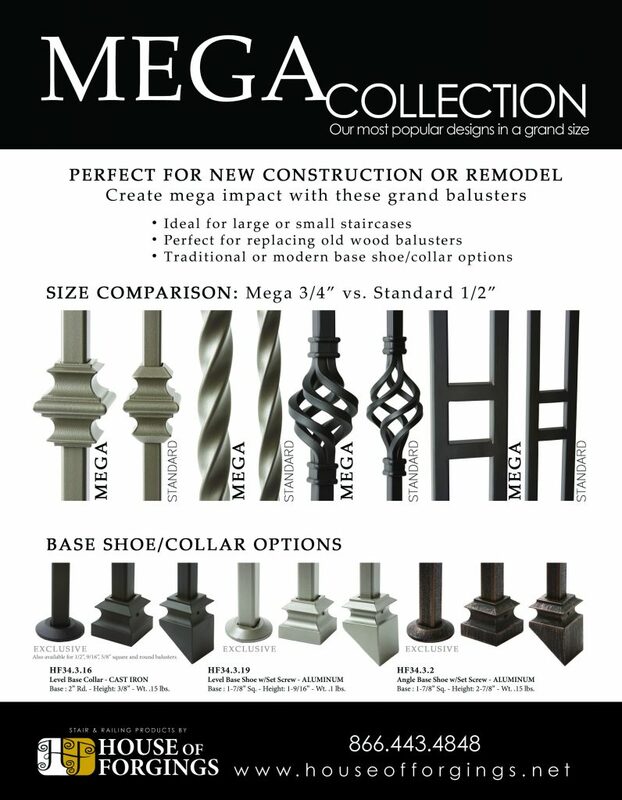 Give our sales team a call at (866) 443-4848 or email sales@houseofforgings.net to get pricing and check availability. Click on the image above to download the full flyer!